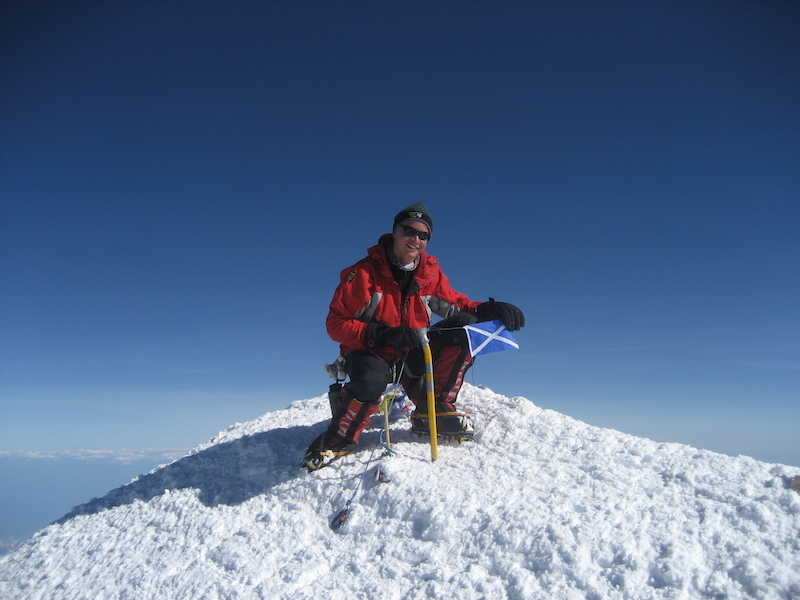 Having completed my first year at the University of St Andrews, I successfully climbed the highest mountain in North America, one characterised by its extreme weather and physical exertion, and stood on the summit on 7 July 2009. 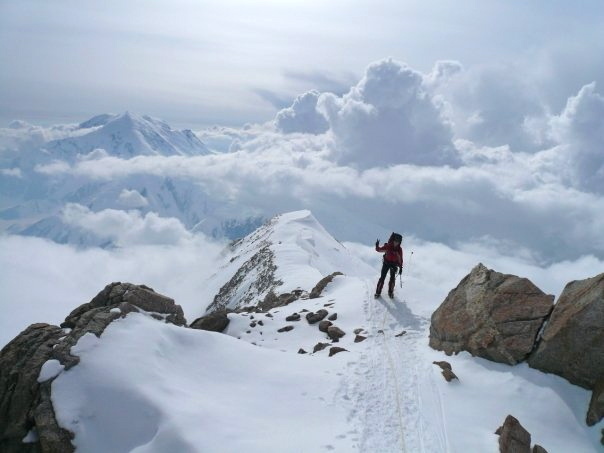 The word Denali translates as the “Great One” and with a larger bulk and rise than Mount Everest, as well as an average summit success rate of around 50%, it was an intimidating proposition. It was one I undertook with a huge amount of excitement and a degree of nerves. After the initial excitement of university, it was a battle to flick a switch in my head and re-focus onto this goal while my mates were taking a different route. I trained for the sled pulling aspect of Denali by dragging female friends of mine along West Sands in St Andrews (think Chariots of Fire opening scene). Unsurprisingly, I received some fairly bewildered looks from the traditional St Andrews inhabitants going for a morning dog walk but it seemed to do the trick. Preparations seemed ill-fated due to tonsillitis contracted shortly before departure and my rucksack being lost en route to Anchorage. Most significantly, however, was the passing away of my Grandmother the day I departed. This only increased my determination to succeed and gave me another reason to reach the top of this historic mountain. In complete contrast, the expedition transpired to be truly wonderful in a location I would love to revisit in the future. Alaska is a pure and unblemished place that is both unremitting and beautiful – watch the excellent film Into The Wild and you’ll get an idea. My team of 12 was unrivalled in terms of cohesion and contrasting life stories – all that one can hope for in an expedition. This is a huge factor why I undertake these expeditions, to see and experience new things, to meet new people and further my horizons. This Denali expedition had all that. A twin otter plane lands you from Anchorage on the snow in this vast and striking environment. As one of the last teams on the mountain that year, it felt like a very untainted experience from the off. Sledding all your kit from start to finish heightens that experience, certainly adding to the physical demands as you cache what is required higher up the mountain as we made our acclimatisation moves. 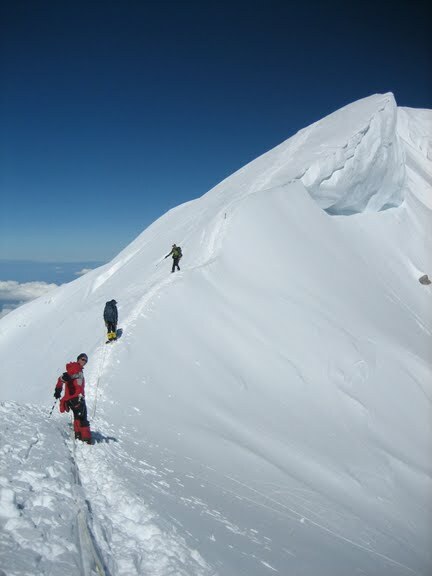 We were roped together in three teams of four in order to prevent the high crevasse risk. We practised the necessary contingency plans regularly and had to put them into practice on more than one occasion. Each night you erect the team’s and your own tent before trying to establish some sort of eating and sleeping routine. The steep fixed lines and subsequent narrow ridges were picturesque and finally took us to high camp. A couple of night were spent there as the notoriously vicious wind and snow storms raged around us so ice blocks were cut to protect our tents. 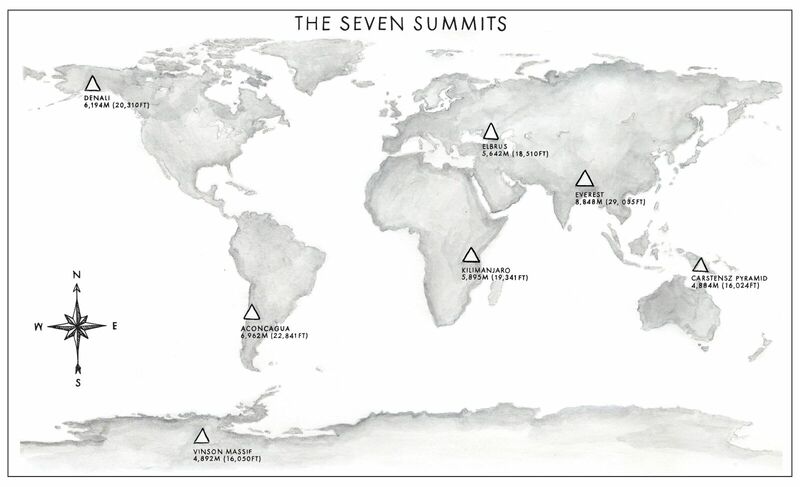 Times like this are what create expeditions. This is when you bond with your fellow expedition members the most. Movement is restricted to the confines of your tent, disagreements have to be ironed out diplomatically and all bodily functions take place within arms distance of each other – this is what we signed up for and it couldn’t have been better. Thankfully though the weather relented briefly to allow us a chance at the summit. A narrow ridge on the approach to the top made for a suitably exciting finale before our whole team were able to celebrate at the highest point in North America with blue skies and a view to savour. 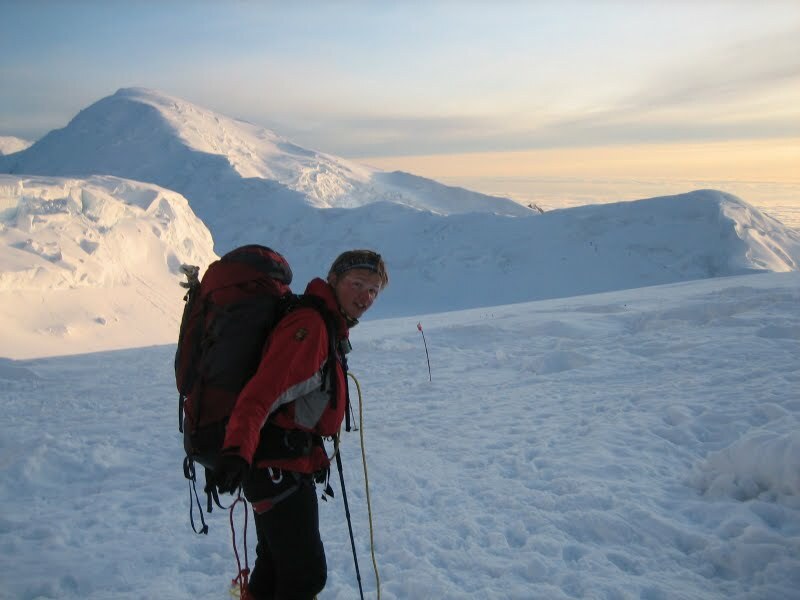 Alaska is a remarkable place and this Denali expedition gave me some unforgettable memories. It was certainly a step up in terms of what a proper expedition was like and the administration required to ensure you are in the best possible place when it matters most. It was to be the final expedition before months of fundraising and struggle in order to make an attempt on Everest in March 2010 a reality.